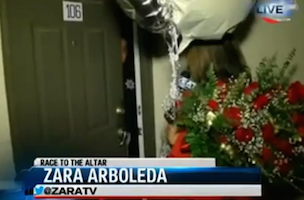 TVSpy: Pro tip — when surprising a prize winner at their apartment, make sure you have the correct address first. GalleyCat: There’s going to be a sequel to Abraham Lincoln: Vampire Hunter. Good job, America. AppNewser: Wingman is an app that aims to make hooking up during flights easier. What could go wrong?